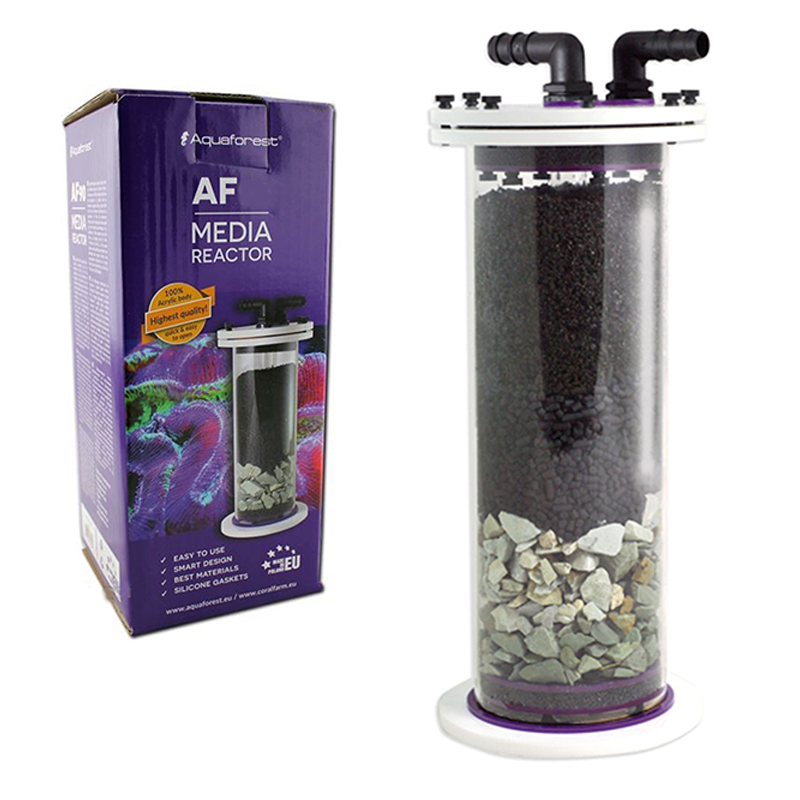 Fluid bed filter for marine aquariums and barrier. Fluid bed filter, intended for use with multiple filtering materials, works perfectly as a reactor for anti-phosphate resin, active carbon and zeolite. Thanks to the compact size, it can be used either in SUMP or externally. The reactor is entirely 100% acrylic, which makes it resistant to damage and discoloration. Silicone gasket has been used to protect against any leakage. Inside the filter there are sponges with a special device to prevent deformation of the sponge and also prevents the passage of filter material outside the filter body (important for resins or GFOs). It is also important that our reactors are very solid and well-groomed in the finishing touches. We recommend using Zeo Mix, Carbon and Phosphate Minus in combination.